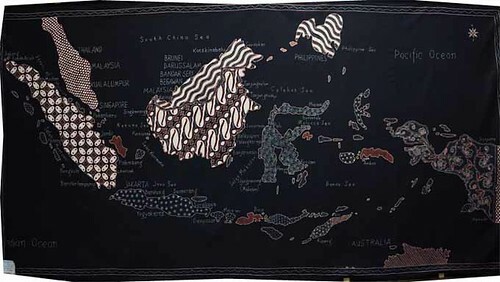 Traveljunkieindonesia.com – The technique of applying wax or other dye-resistant substances to cloth to produce a design is found in many parts of the world, but none is as famous as the batik of Java. 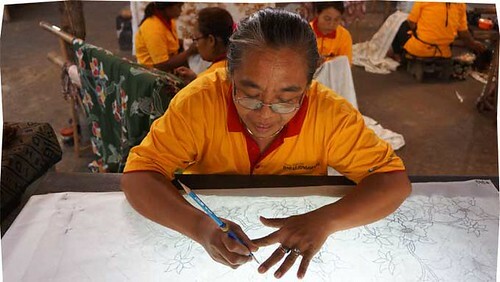 The Javanese were making batik as early as the 12th century, but its origins are hard to trace. Some think the craft was brought from India, others that the Javanese developed the technique themselves. The word ‘batik’ is an old Javanese word meaning ‘to dot’. The tradition of wearing gaudy garb at Asia-Pacific Economic Cooperation (APEC) meetings began when Bill Clinton and cohorts donned batik shirts in Bogor in 1994. 1. Making pattern on the white cloth with pencil. 2. Covering the pencilmark by wax on both sides mean outlining. 3. Detailing by small dots, stripes and wide parts by wax on both sides. 4. Partly covering on both sides getting the wax – thicker, remain white until finish. 6. Partlycovering on both sides by wax remain on the first colour. 9. Reprocess on outline part with small dots by wax on both sides. 10. Covering the first and base colour, need unmixed with the following colour. 12. Reboiling teromove all the wax and finish. 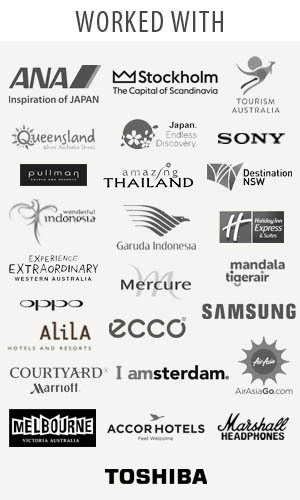 A big thank you to Ministry of Tourism and Creative Economy, Indonesia.travel, and the others for the excellent International Travel Bloggers #Travel2Indonesia. So, free to comment and add some of your steps when handwritten Batik Making in Indonesia.